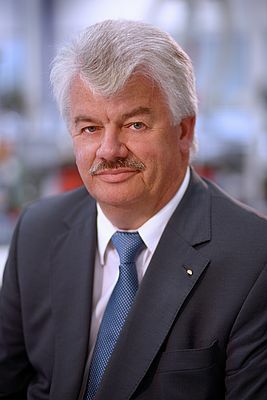 Johann Salzberger, Managing Director Marketing & Sales at Micro-Epsilon Messtechnik. The degree of freedom for adapting ECT sensors to specific customer applications is almost unlimited. IEN: As far as the sensors, test & measurement business is concerned, which industries are the most promising at the moment, and which ones could perform better? Salzberger: The semiconductor, the automotive and the aerospace industries are currently developing very positively. Furthermore, the factory automation sector is a good market for us at present. The conventional machine building industry, on the other hand, could perform a bit better. IEN: The recent statistics of the AMA Association for Sensors and Measurement states that a lot of manufacturers in that area are planning to increase their staff in the near future. Does this apply for Micro-Epsilon as well? Salzberger: Micro-Epsilon as a parent company, but also the entire Micro-Epsilon group, is growing. This also includes investment in human resources. IEN: Is the often-quoted "skills shortage" also a virulent topic in your branch? Salzberger: Generally speaking, it is always a challenge to find colleagues that match with a company, not only with respect to the professional skills, but also in terms of interpersonal relationships. The shortage we see is rather among the skilled workers, and less among engineers. IEN: Let's switch to the technical issues. 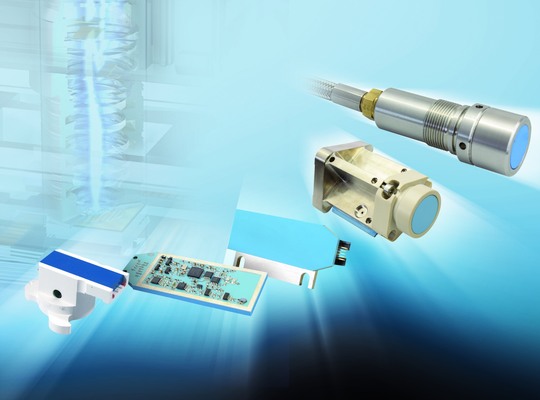 No matter if capacitive, eddy current, distance sensors or other measuring systems are concerned: Micro-Epsilon is especially strong when it comes to supplying solutions for the OEM sector. What is it that makes your products so attractive for the OEM user? Salzberger: First of all, we offer to our customers objective advice as far as the best measuring method for their individual application is concerned. It is our claim to find the best solution for the customer. This includes being ready to design and manufacture customer-specific solutions, in case the application demands this. Despite the size of the Micro-Epsilon group, we have maintained our flexibility as far as the design of products is concerned. This fact is honored by our customers. Furthermore, OEM applications require a deep technical knowledge of your own product, but also of your customer's task. In this area Micro-Epsilon is very strong, since we have a very well-trained technical sales team that works hand in hand with our development department in order to find the best solution for our customers. IEN: Which industries do you supply primarily? Could you please name some concrete applications? Salzberger: Important for us are the machine building, electronics and semiconductor industries. Concrete examples for applications are, among others, position control in lithographic printing machines, quality control in the production of premium mobile phones, position measurement in hydraulic valves, wear detection in ship's engines, or the fast mirror adjustment in laser applications. IEN: How close do you cooperate with your customers when developing customer-specific solutions? Salzberger: The customer supplies us with the assignment of tasks and the necessary specifications. Subsequently we work on the technical solution with a team of experts, which includes our sales and development & design department, our product management, but also our customer. 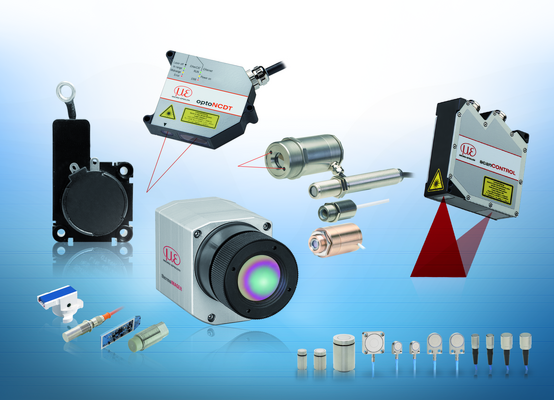 IEN: Which branches are the most demanding ones in terms of technical requirements for your sensors and measurement systems? Salzberger: The most demanding branches are the semiconductor and the automotive industries. Generally speaking, one can say that the more precision is required, the higher the technical challenge. Quite often demanding environmental and mounting conditions also require more complex and extensive development efforts. IEN: Finally a rather personal question: You will retire at the end of this year. Looking back at all the years at Micro-Epsilon, which experiences have been the most impressive ones, and which future do you foresee for "your" branch? Salzberger: During my time at Micro-Epsilon it never got boring. We constantly had to face new challenges to develop up-to-date products and solutions. Technologically this meant keeping the company innovative on a constant basis. Furthermore, adapting the company to new dimensions has always been an exciting task. With this I mean the organizational and strategic decisions we had to take, or the continuous adjustment of our marketing activities in the light of constantly evolving markets, especially the global markets. In this respect, it is of course a very positive experience that Micro-Epsilon has been developing so successfully and sustainably over several decades. As far as the sensors branch is concerned, I foresee a very positive future. Just take the protection of natural resources, energy efficiency, increase of productivity, automation, safety, quality control, supply of mankind - all those tasks require the application of sensors in one way or the other. Or think of the often-quoted keyword "Industry 4.0", for example - a precondition for going ahead on this path will be precise and intelligent sensors.